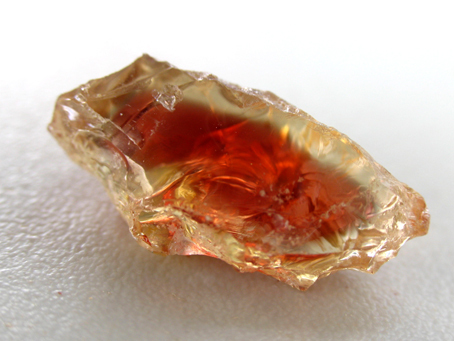 Some nice red Sunstone was found by a number of people. 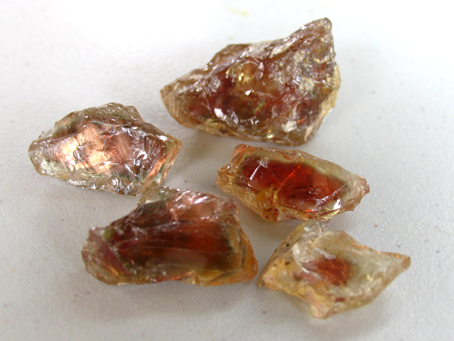 Sunstone can be found in abundance, but as is usual with natural minerals, only a small portion of what is found is actually gem material - usually about 2% of what is mined. Of that 2%, a very small amount is of what All That Glitters would seek for inventory or to sell to customers. Though we would say that purchasing rough insures high quality, wonderful color, fine clarity, decent yield, etc. 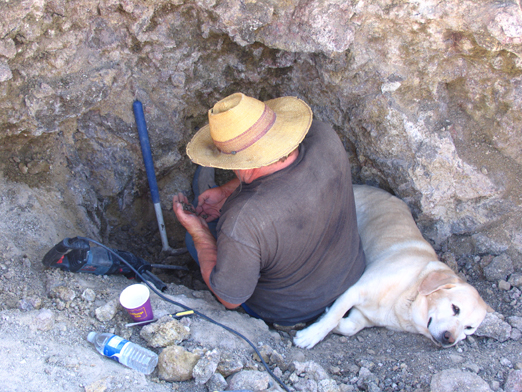 the experience of actually digging minerals and the potential of finding something of value is certainly worth it. The experience of that area of the country is very different from other parts. 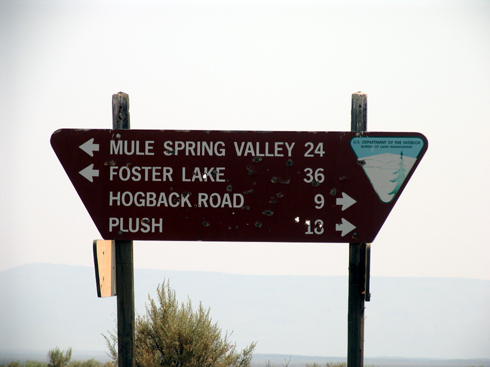 One is frugal with water, watches out for fires, is cautious driving due to animals in the open range and much more. The scenery is beautiful and varied, as one can go from one terrain to an entirely different terrain in just a short timeframe. The state is of volcanic origin and its past is very visible in the present. A small section of the main pit/wall. There are sections of the wall that are both hard rock and decomposed rock. Power tools are always useful if you have a generator or power. 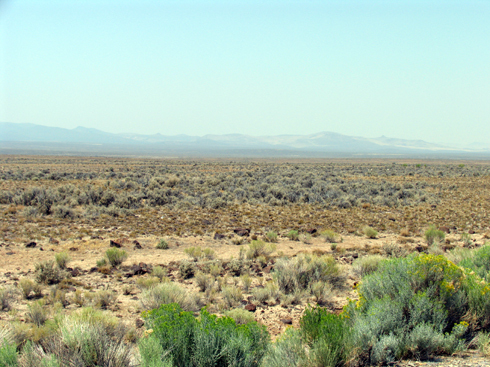 The area of the mine is in the high desert of Oregon, outside of Plush and within sight of Hart Mountain. One of the few signs as one heads back to civilization on the dirt roads that wind and turn in the desert. Some very fine reds found by someone in 2007 and previous years. 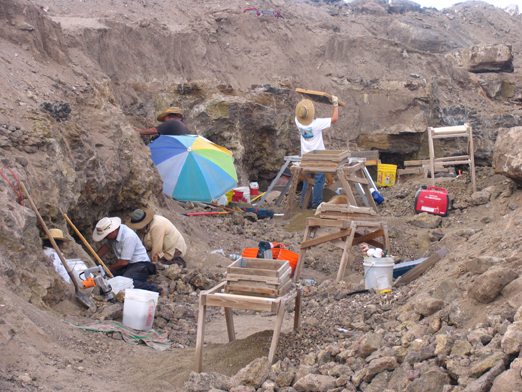 This one was found in July 2007 and is also shown in the above photo. Believe that this weighed about 170cts. Like much of this material or just gemstone rough, there are usually issues. Though the piece initially looks wonderful in clarity, size and color, when one looks more closely, there are cracks, and most likely other issues to deal with - making what appears to be an incredible find, actually much smaller in yield.